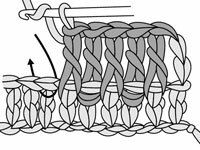 Post stitch ribbing (typically double crochet stitches worked around the posts of previous stitches) isn’t as elastic as single crochet ribbing, but post stitch ribbing creates a more rounded style of ribbing that always maintains its ribbed appearance. 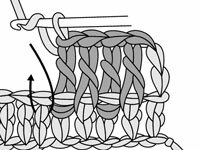 Use post stitch ribbing to create a border across the bottom edge of a sweater with these instructions. 1Work 1 row of double crochet (dc) across the bottom edge, turn. You follow the procedure for starting a new row. Post stitch ribbing is much thicker and tighter than single crochet ribbing. If you’re using a heavier yarn, it can be pretty stiff and inflexible. Using a larger crochet hook gets you a softer, more flexible feel. This counts as the first post stitch. 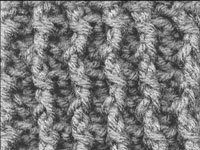 3Work 1 front post double crochet (FP dc) around the post of the next double crochet. This stitch is raised on the surface of the fabric facing you. Always make sure that the post stitches are raised to the same side in each successive row or round. Keep an eye on the ribs and remember: If the stitch you’re working is raised to the front, work a front post stitch; if the stitch is raised to the back, work a back post stitch. 4Work 1 back post double crochet (BP dc) around the post of the next double crochet. 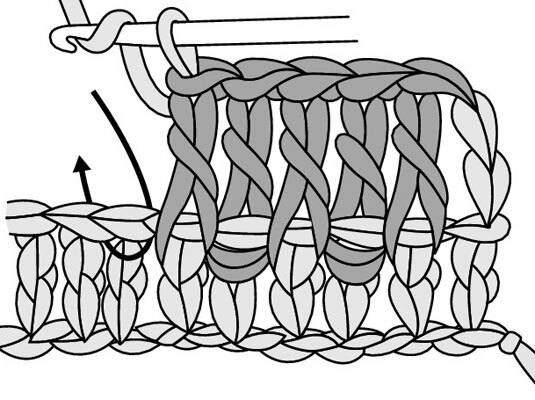 Repeat the preceding step and this step until you reach the last stitch. 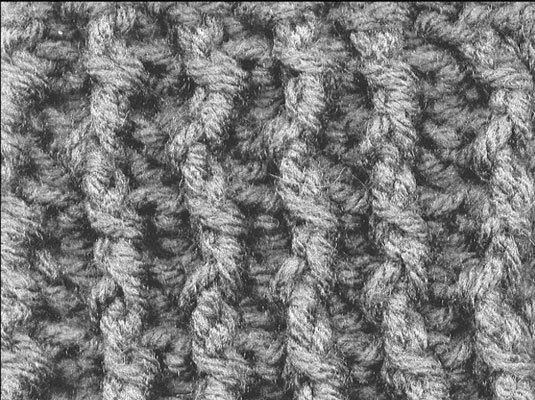 5Work 1 half double crochet (hdc) in the last stitch, turn. 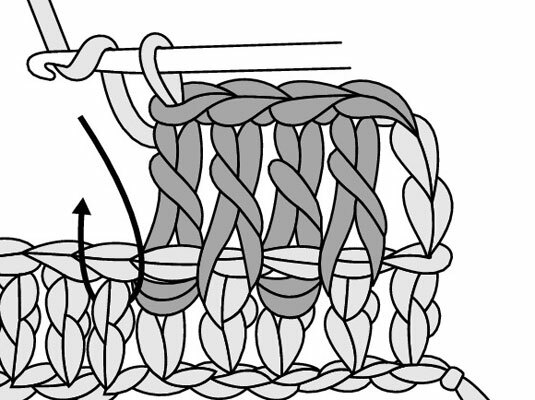 Repeat these steps from chaining 2 until the rib measures the desired depth.